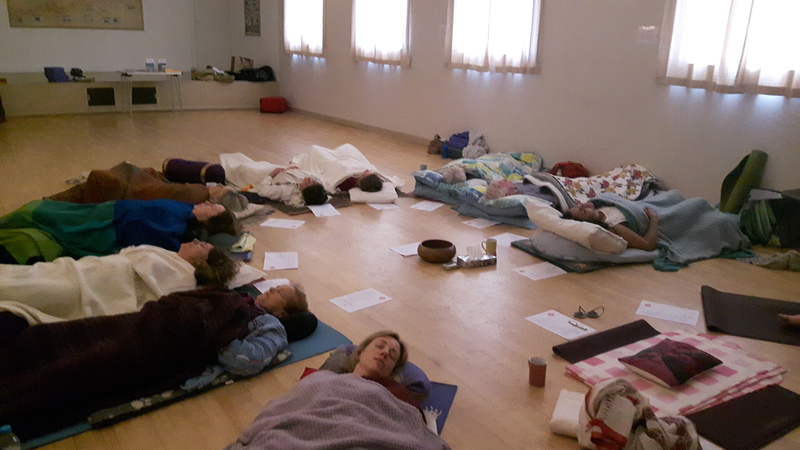 A Sacred Sound Bath takes you on an inner journey of sound whilst resting in deep relaxation. The Sacred Sound Bath includes an Earth Gong, Tibetan bowls, Sansula, Rainstick & Tibetan Bells. Costs £12 ~ pre-payment in advance to secure bookings please. Join Vichari & Harshani for a deeply nurturing Sacred Sound Bath & Mantra Evening. Beautiful day of Sacred Sounds, Mantra, Hatha Yoga on guided journeying.